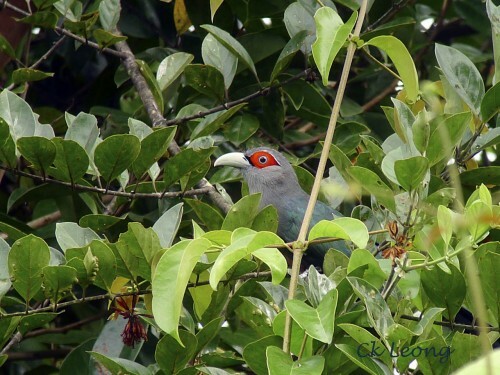 I haven’t seen the Chestnut-bellied Malkoha Rhopodytes sumatranus for the longest time now. During the 90’s, it was still common enough around the secondary forest outside of Sepilok. There must be a serious decline in the population of this bird so much so it is now classified as (IUCN) near threatened. So I was thrilled to see this individual (one of a pair ) while on a recent outing to the peat swamp forest of Klias, south of Beaufort. Its habits are as other malkohas, taking short flights from tree to tree and disappearing quickly into the foilage.